Who would have thought that these blasted things could hide so well? Aikiko gritted her teeth and passed up the shrines, the temples, the museums, and the classical fortresses in favor of Toho Studios. A clipboard and Easily Overlooked Presence Method should work just fine. It did, at least at first – but the studio turned out to be a fairly powerful manse! Rank-4, and with an exotic aspect oriented towards… illusions. OK, the was appropriate for a film studio… But if this turned out to be a copyright dispute gone supernatural, she was going to be very VERY annoyed! A period of quiet surveillance revealed that there were some dragonbloods around… Air and Water aspects mostly, the CEO, studio executives, directors, managers… only the most important officers of course, but still! And they were currently… setting up for Samurai Destroyer XIV. Ooh, a mecha movie! That would be all kinds of fun to watch being made – but it seemed all too likely that some of those those Terrestrials would know (and likely use, if only to watch for things going wrong on the set) Awareness Charms. Technology wasn’t her thing – but the primary access was probably in the central offices – just where the dragonblooded were concentrated. Blast! There had to be a whole clan in charge of this… Still, her curiosity was getting the better of her; she headed that way. There were… a lot of actors, most of whom seemed to believe that advanced special effects technology was handling the odder bits, a screenwriters workshop (which apparently provided some substantial boosts to script-writing), and the central offices right up ahead. Some security… Seems to be basic manse-servants though. Some of the actors – the stars – seemed to fit into that category as well! But didn’t manse-servants normally stick with the manse? What the heck was going on? At which point a cheerful young man spotted her and promptly directed her into a line with some of the other aspiring young would-be actresses… they were “ready to start the readings”! Director Isanawa himself would be reviewing the applicants! She bowed. Bowing etiquette was taking some time to get used to, but she was quite socially skilled and adaptable! It was easy enough to pretend to be a slightly nervous young woman here to play a part! Very shortly she was handed a script and directed to a short series of lines for the part of a Young Female Werewolf Hunter! First a dramatic bit at the climax of a hunt, and then switching to a short interlude with friends. Oh. Of course. They WOULD be wouldn’t they? Sadly, she didn’t actually roll that well. The effort was palpable, the actual result was a bit too nervous! Well, it wasn’t like Kiko had acted before – except to talk herself out of trouble. The director was good at spotting potential though – and offered her a smaller, non-starring, part. That had been a very good try even if the lack of acting experience had showed! The role was a secondary hunter who got bitten in the first attempt on the main monster, and – sadly – had to be put down along with her new boss! Still, she did get some combat sequences, a few appearances standing over bodies and such, and a good death scene! It was not at all a bad start! The salary was quite decent too – although to go for the higher, star-quality, salaries you had to sign an exclusive contract. Still, even a series of small-scale jobs was well worth considering! She DID need some mundane means of supporting herself in Creation – even if this WAS about as supernatural as studios got! Toho had really come on the scene with their new studios in the very early 1960’s – and now was probably the biggest studio in the entire east. It turned out a LOT of movies, usually with quite good scripts and fabulously good effects. They did monster movies, supernatural thrillers, sci-fi, and historical stuff mostly… of course, that WAS playing to their advantages. At a guess, there’d been a Terrestrial takeover or the CEO had Exalted – and had gotten the new studios underway sometime in the 1950’s. Despite Charles, building a rank-**** manse was a bit of a project! Aikiko had to admit that whoever had come up with this one had had a stroke of brilliance… The place let was a money machine on a massive scale and let you peddle whatever images and ideas you wanted to a global audience. It was a cultural shaping machine to be envied… The large number of studio guards might not be as unreasonable as it looked. Whichever Japanese clan controlled the place probably considered it a critical asset – and were probably very pleased that they didn’t just laugh off the original proposal. How ridiculous “Your studio is built on a place of supernatural power. Can we work with you to improve it?” must have sounded! And now they could undercut virtually everyone… “We need a complete 1823 Kyoto Set…. done!”. Unfortunately, as fascinating – potentially useful – as that was, there was no sign of Salin, or Darius, or even Mechagodzilla (at least if you didn’t count the poster-and-stills gallery). Toho seemed to be… opinion-molding, income-producing, and a cultural icon – but it didn’t seem to actually deploy Kaiju any more than it did armies of space marines or cyborg samurai. Ah well! It would still be pretty lucrative for her! She’d just have to remember to show up for filming. Drat it! Where to go from here? Could Mechagodzilla possibly be hanging out in space? How could she get there? And even if she COULD, space was HUGE! She couldn’t search that big an area on her own! Perhaps she could get Toho studios would go after them for copyright infringement? Nah, that was silly – but she did mention hearing something about the incident within Terrestrial earshot. (Terrestrial) “Oh come my dear! It sounds like a prank to me – or perhaps a publicity stunt! 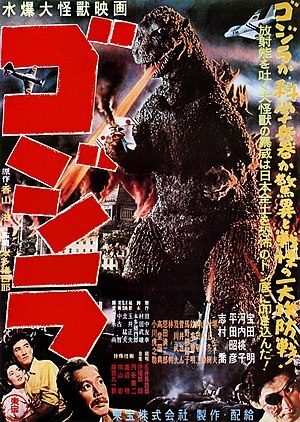 Godzilla is a mere fantasy! Who could possibly produce such a thing for real? It does sound amusing though! Perhaps the work of one of those american “Fan Clubs”? Hm… No obvious signs of lying – although it was pretty obvious that the bit about woods and trouble was a simple guess. This fellow, at least, didn’t know anything. Ah well. She wouldn’t have thought that they’d risk their cash cow that way, but Terrestrials did talk with each other – even if it did look like the eastern dragon-blooded had gone in for the samurai-businessman model rather than the old warrior model. Well, there was something to be said for economics over punching! It was a lot easier to get comfortable with! A few similar probes… got nothing much. Toho’s setup brought them money, and influence, and a certain amount of power – but for her particular search it was, at best, a sidequest. Well, she was more than happy to have a minor part in one of their films! She’d always kind of wanted to be a movie star – and with her speed and combat skills, she might well get many parts! Wait a moment! She was being silly! Mechagodzilla always had a hidden base for repairs! I should note that it would be helpful to determine exactly which VERSION of Mechagodzilla it is she’s after. That would give a likely idea of where the hidden base might be. Some versions show it as a robot piloted by humans, and others as an alien weapon. Knowing which version it is would also serve to narrow down the capbilities it’s likely to have. That was one of her next notions actually… Although, of course, it could always be drawing on multiple sources.